Another great week. 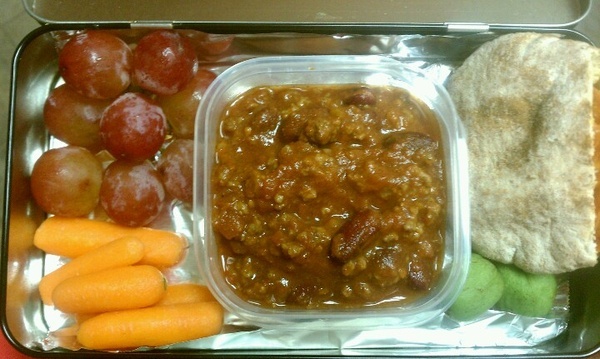 I saw a pin on Pinterest that showed a “snack box” that I thought was worth trying. It also gave me an excuse to go to IKEA (here is an instagram of that moment) LOL! 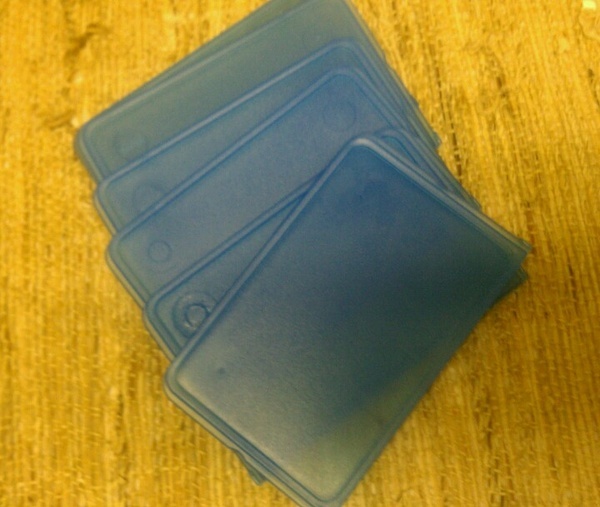 Anywhoooo, here are the boxes. I woke up late and had to THROW this box together. 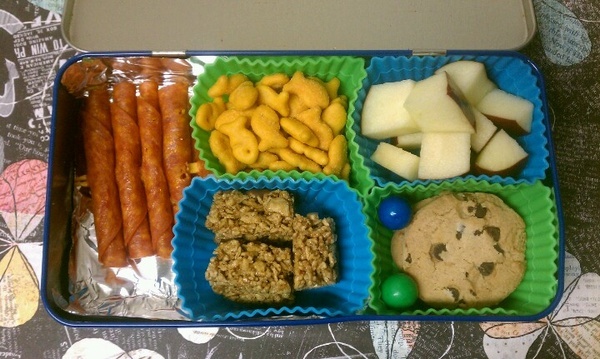 Large pepperoni on a yellow pick, goldfish, red apple chucks that were already sliced and in the fridge, a Special K bar, cookies and gum balls.This is our Avengers tin bento box. 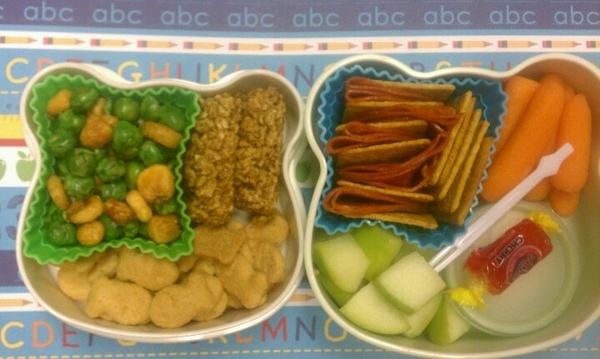 This is our frog bento with dried corn and peas from the Dutch market, special K bar, Cupcake goldfish, pepperoni and wheat thins, carrots, green apple chunks and salad dressing in the little container. 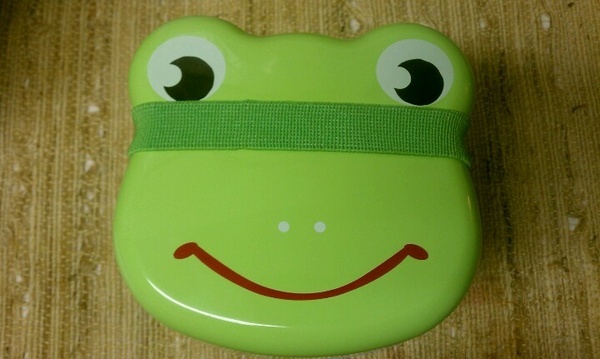 As promised, here is pic of the frog bento closed with its little band about it. Cute! 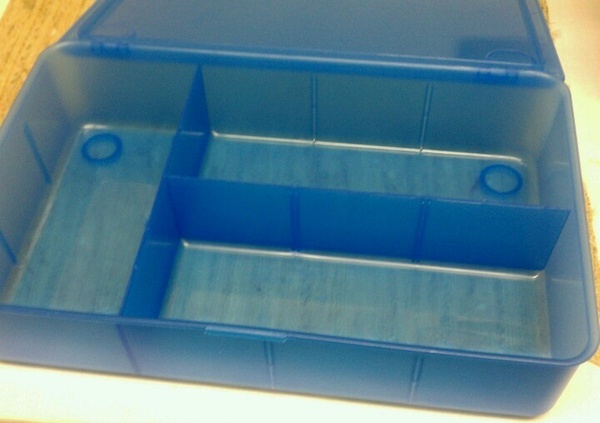 Large container I went to IKEA to find. This comes with dividers!!!!!! I was so pumped! 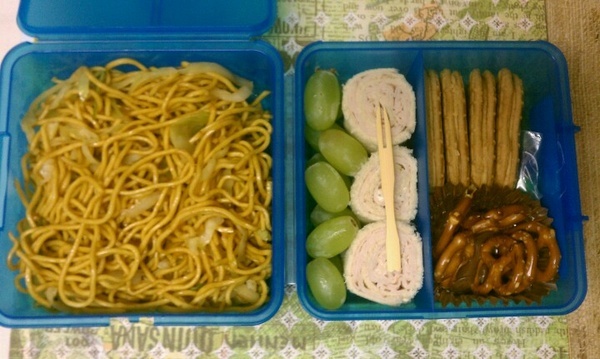 This will become our week day travel snack bento box! LOVE!! 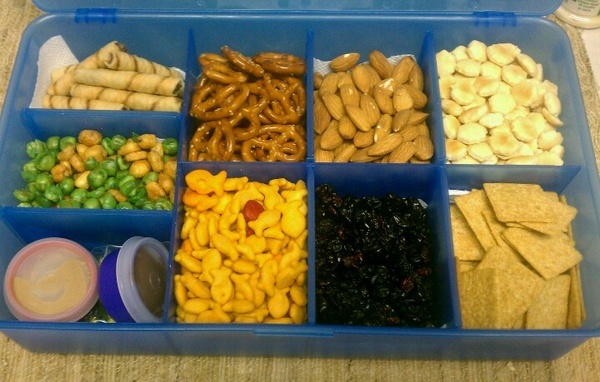 From the top left: Italian cookies (they have a real name but I cant think of it), pretzels, almonds, oyster crackers, dried corn and peas, gold fish, dried blueberries and dried cranberries and wheat thin crackers. My youngest son is on a competitive gymnastics team and has practice 2 days a week for three hours each. This little box is a life saver for my oldest son and I while we wait! Thanks for glancing our way! Previous Post Bento Box for 9/4-9/7 + My first and last intricate bento box!! Looks great but it also looks very big! After this I’m not sure I’d want to eat dinner anymore haha. But it’s a good way to eat nuts and fruit. very healthy! Well, for the whole week it not that big! I’m surprised they like dried fruit, most kids I know don’t! I spent 8 hours in IKEA the first time I went 😀 I love it!! !